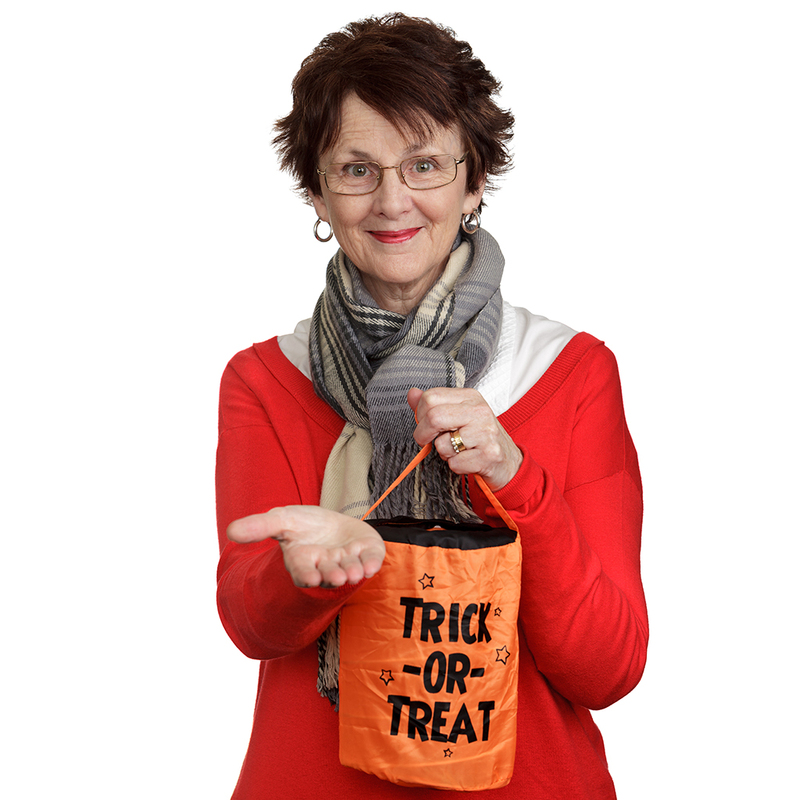 There's no rule anywhere implicitly stating that only children may ask for candy door-to-door on Halloween. Is it just the fact that a fully grown adult saying "trick or treat" sounds much more threatening than a three-foot-tall Spider-Man? Plus, nobody actually has any "tricks" up their sleeve anyway. If they're not living up to the social contract, why should any of us? So if you plan on hitting the streets for sweets this year, here are the five commandments for any post-adolescent trick-or-treater. 1. Your costume must be on point. 2. Exhaust every option to find a child chaperone. 3. Put candy in your bag before leaving the house. People are lemmings. I'm not the first person to say that; I'm just quoting whoever did say it, because many have done before me. Take a tip from buskers everywhere: If there's money in the pot already, people will be more likely to keep piling on. It seems like weird psychology, but it works. Having a bit of candy in the bottom of your bag (make sure it's a variety) will trick people into thinking you've been legitimized by other houses on the block. It's the same principle behind hiring actors to fill in the seats at a campaign rally. 4. Say “Trick or treat?” like you mean business about the “trick” part. Even if you're dressed as Raggedy Ann, put on your best Dirty Harry face and make whoever opens the door question how lucky they feel. Lean up against their porch while lighting a cigarette, or consider menacingly flipping a coin. It's up to you how you want to show them that even though you're a six-foot-tall Minion, you're not fooling around. 5. If all else fails, dress as two kids in a trench coat pretending to be a grown-up. There you have it. If all of this seems like too much work, just remember that you're an adult with money and all fun-size Kit Kats are 80 percent off at CVS on November 1.